Annandale Galleries are proud to be exhibiting the work of six emerging artists in this exhibition. A follow on from The Edge in 2014 it continues to explore the extraordinary talent that is currently making waves in the Sydney visual arts milieu. In order to get more clarity around the aims of these artists, this show features only six artists instead of the thirteen in The Edge. 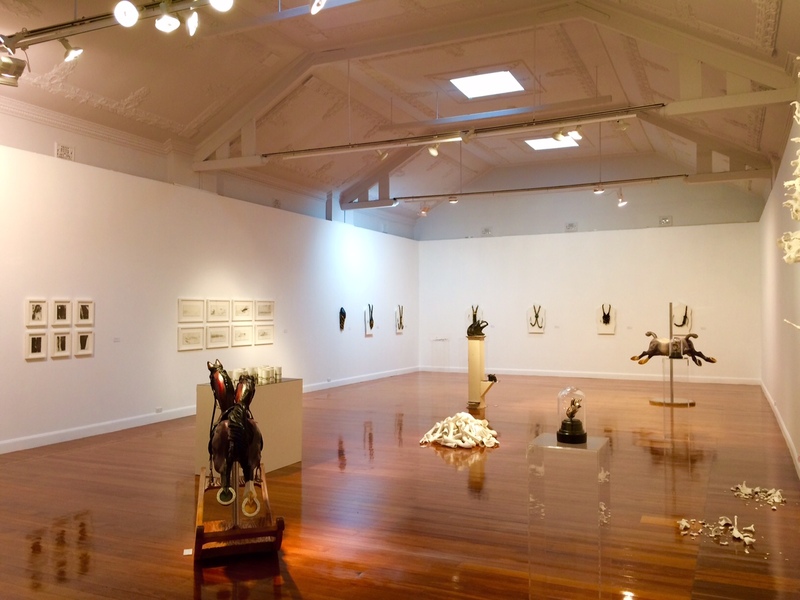 Curated by Mitchell Cross, manager of Annandale Galleries, Mitchell has gone to great lengths to find artists who work together in that the various installations/exhibitions ‘talk’ to each other while avoiding any didactic or specific theme. Whatever theme which may become apparent, there is enough room to move so that the ‘theme’ is created by the viewer and changes according to the time and effort invested in the show and the knowledge and outlook of the viewer. As is suggested by the title, these artists are early on in their careers, still very open to the stimulation of what is new to them. There is nothing formulaic about the works and only time will tell what turn out to be fleeting glimpses and what aspects become signature styles and means of expression. One thing is sure: the work has an exciting edge making use of the energy of youth and a belief that anything is possible. Do not miss this opportunity to see what our new talent is doing and involve yourself with the process of watching it evolve. In addition, Karam Hussein will be the first artist to exhibit in our project space downstairs. These projects are planned to be an ongoing feature at the gallery and will not be subject to changing with the same intervals as the major shows. Karam has been chosen and curated by Mitchell Cross, but the idea is to have it as an experimental space where artists are free to do whatever they choose. Applications and guest curators will be included in this new initiative by Annandale Galleries. For further information/press/visuals please contact the gallery.